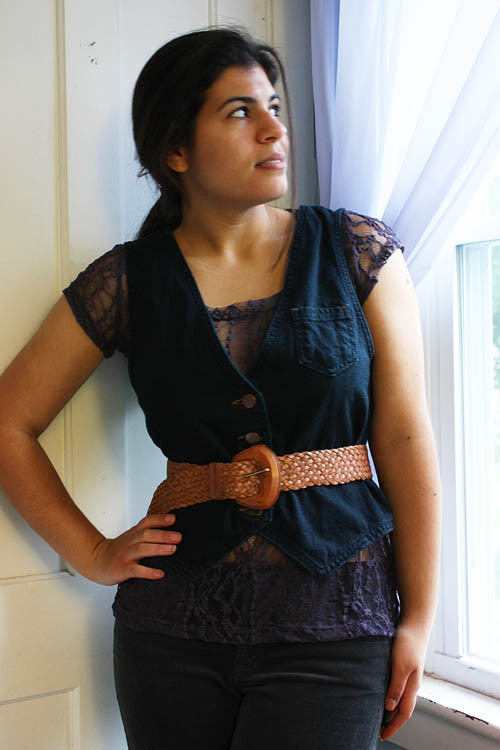 I found myself a purple lace top at TJMaxx for $16 the other day, and since it was down pouring this morning and I was not going to even attempt to go out; I thought I would spend some time experimenting with layering the top. A navy tank with polka dots is a bit more interesting than black, but still pretty tame. A much bolder statement, and it really showcases the lace pattern. I wanted to be daring and try it without a cammi. I thought putting a belt over the vest would be a good way to establish that this vest isn't going anywhere. Under a mustard cammi and a vest! I really like it with the jumper, too. LOL: "...this vest isn't going anywhere"
My favorite is the outfit you wore today!!! 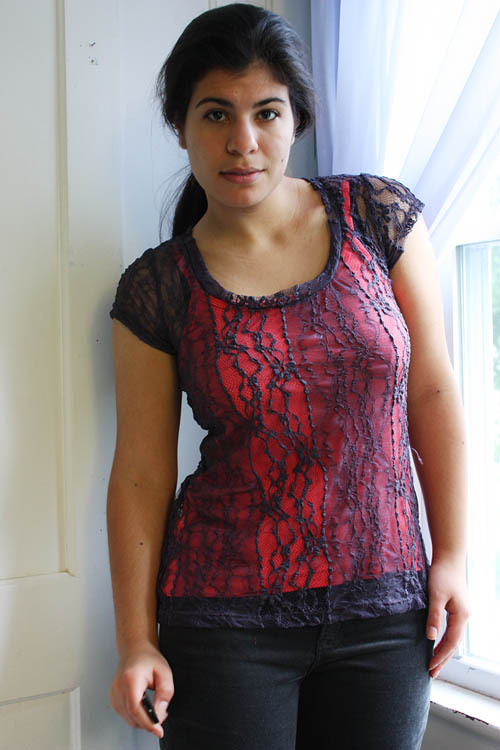 Great job integrating the lace top into your wardrobe! 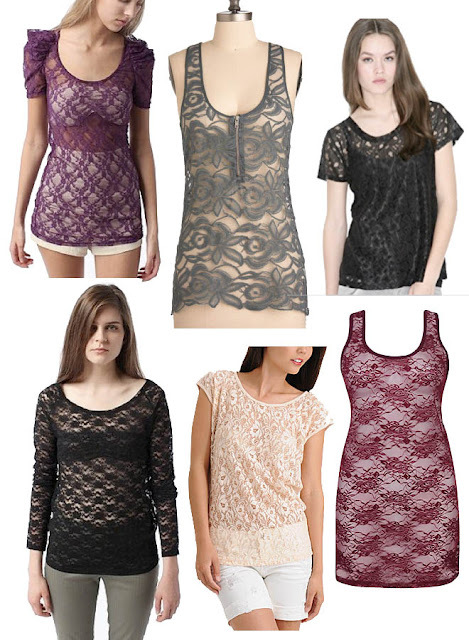 Who knew lace could be this versatile?! My favorites are when you're wearing it underneath other times, so you have just a touch of flirtatiousness with lace-covered shoulders. Lovely! Oh my gosh I love these looks! I want that romper : ) and that strapless dress : ) so pretty! Your ability to style the same shirt so many different (good) ways is seriously amazing. Wow! I love it under the vest and what a cute dress!! I've just recently started discovering lace for myself and I have to say the way you combine it in outfits is very inspiring and chic! 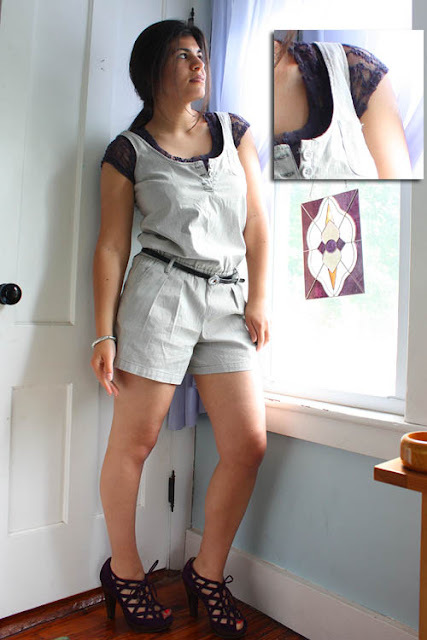 I absolutely love the romper + lace top look! that sounds like the perfect day to me, staying home and playing around with clothes, almost as good as shopping! It is a crime that you haven't worn that dress yet! I like how you put it under the vest and wore no cami - still looks very appropriate but interesting. Also, it goes really well with the dress. What a great idea. I love to see the creative goodies you come up with for us! Oh I love this. Lace tops intimidate me, but you just made it look amazing many times over. I'm inspired! I love the lace look, I'm starting to try it out myself! You look great! OK that is a fun shirt, I can't believe how many ways you can wear it. I also love the idea to wear it under a tube dress!